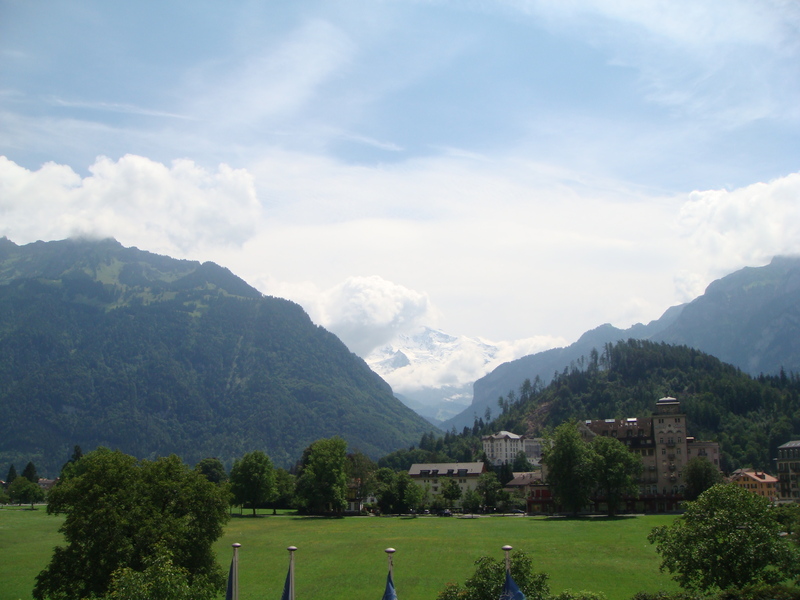 From a beautiful little place called Interlaken. This is the view of the Jungfrau, reputedly the highest point in Europe. My camera doesn’t do the view justice, but it’s the white mountain in the distant between the two green ones.